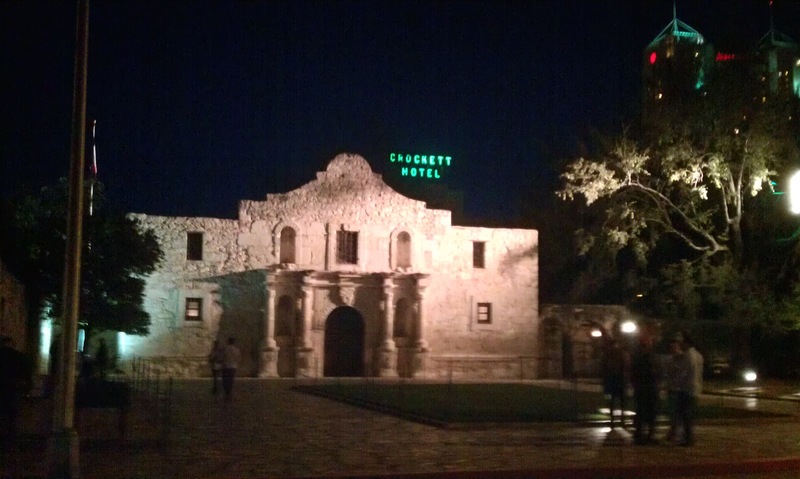 OTech: HL7 working group meeting San Antonio: CDA rocks! The HL7 crowd of 350+ people took over the city of San Antonio this January to find refuge from the snow, ice or cold weather that many experienced in their hometowns in order to enjoy a margarita or beer while dining outside on the river walk. The working group meetings are well attended. Many of the attendees come to get educated on the latest HL7 standard developments while others come to work on refining and expanding the standards themselves. This is an exciting time to be involved with healthcare IT as there is a major push to implement electronic health records in the USA and many other countries around the world, which will allow the exchange of information among providers using open standards. The HL7 organization is responding to this need by promising to act swiftly, and develop new standards in record time, while at the same time consolidating and “freezing” existing standards, such as the CDA (Clinical Document Architecture), for the past 7 years so that those implementing the new standards have enough time to incorporate them into their work flow without having to make frequent updates. Although there is a version 3 of the CDA in the works, version 2 has been around for several years and successfully implemented by many users. The existing version 2 of the HL7 messaging standard is very entrenched in many healthcare institutions, especially in the USA but also in many other countries. Even though there has been a more advanced version 3 available for at least 10 years, the protocol implementation has been spotty at best. Some countries, notably Norway and a few others have successfully implemented it, but others have failed for a variety of reasons. One of the “problems” with upgrading from V2 to V3 is that the protocol is much more verbose as it is encoded in XML and therefore puts a strain on existing infrastructure. In addition, V2 is quite robust, reducing the motivation to replace something that works well with another version until there is a demonstrated major return on investment and/or benefit in additional functionality. As a matter of fact, one of the gradual implementations of new CDA documents is the ability to add it as a payload in a V2 message. Unlike the spotty implementation of the HL7 version 3 protocol, there is no question that the CDA implementations are going to be very successful. The CCD profiles as part of the CDA, allow for automatic extraction of information from an electronic health record into an electronic document. As more of the CDA content begins to contain structured information and coded entries, it will also become easier to import this information into a record. A typical healthcare institution might handle upwards to 10,000 documents per week, as a matter of fact, for the Mayo Clinic in Rochester, this number exceeds 50,000, which is 2.5 million documents per year. Imagine the enormous amount of clinical information that will be available that could be used to improve quality of care, outcomes, efficiency, and decision support rules, when all these documents are encoded in some form or another. It is no wonder that the major institutions such as Kaiser, and the Mayo Clinic are active participants in the HL7 standard generation process. However, one should not think that all of the documents are going to contain structured blocks of information and codes. There is a transition from totally free text, as is defined for CDA release 1, to some of the encoding, as required for CDA release 2, to more strict enforcement in CDA release 3. However, experts seem to agree that even with release 3, there will still be 10 percent of the context that requires free text. Each subsequent release will be a little bit better, but a lot also depends on the work on vocabularies and codes themselves to make sure that different contexts can be expressed well. In addition, we need improvements in Natural Language Processing (NLP) to automate some of these tasks. One should also keep in mind that generating these structured documents also should not take much more time for a healthcare practitioner. I know from my own experience that many practitioners are holding off implementing electronic records because of the additional time and effort it takes due to unfriendly user- interfaces and limited data entry capabilities. In my own experience, when looking at many different implementations during the annual Connectathon while trying to find, let’s say a patient allergy, in some cases I could spot it immediately, in other cases, it took a while and scrolling down a window to actually find that information. Some style sheets that vendors use to display the documents are totally arbitrary and do not make intuitive sense. They mix up headings that deal with past, current history and treatment plan. A lot of work still needs to be done on usability and user friendliness. Coming back to the HL7 working group meeting, the electronic document standardization effort in the form of the CDA in my opinion is the most significant development, and combined with the HL7 functional specifications of electronic health records will definitely impact healthcare in a major way. It is exciting to see all this activity going on firsthand and I encourage you to participate and/or join this important effort (see www.hl7.org for more information).